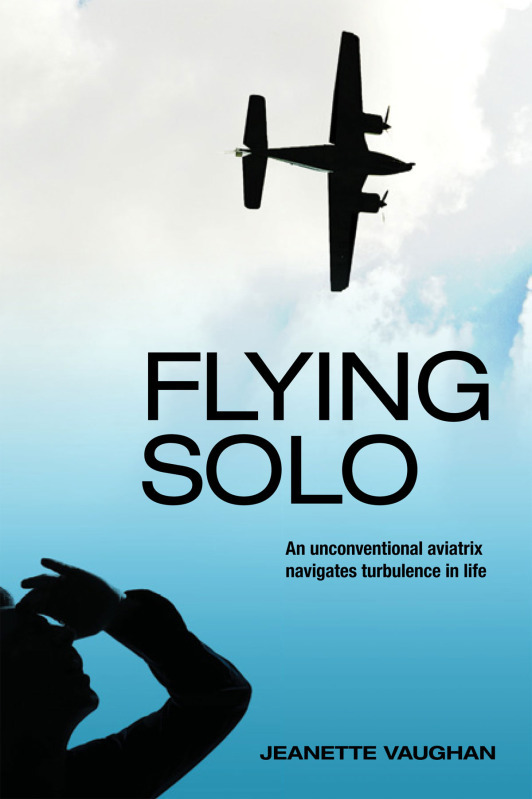 Flying Solo by Jeanette Vaughn is a story about Nora Broussard Greenwood, a woman in the 60’s in New Orleans who learns to “fly solo” in more ways than one. She decides to learn how to fly, something that women did not do in those days. Married to an affluent man she does not love, she has an affair with her flight instructor. On another occasion she makes the momentous decision to leave her husband, which goes against all that she had been taught. By making the decision to learn to fly, Nora set in motion a new, independent life just as adventurous as she imagined her father’s life had been. Her decisions conflicted with the life that she was supposed to be living as a Catholic wife and mother. Nora had help in her flight from the oppressive life she was leading to a future with promise. Many of her friends advised her, but after considering their advice, the decisions to do the things she did were hers. In her quest for independence, she discovers an old family secret that involves her whole life. To learn this secret and how she dealt with her old and new life, read Jeanette’s well-written, believable book. Jeanette Vaughan is well established as a writer and story teller. She has published in periodicals and professional journals of nursing and also in the genre of fiction. She has written several novels and scripts. She is the mother of four children, including two Navy pilots. She lives in a Victorian farmhouse in northeast Texas with her sheep, chickens, donkeys and sheep dogs.